Westport bed and breakfast travel guide for romantic, historic and adventure b&b's. 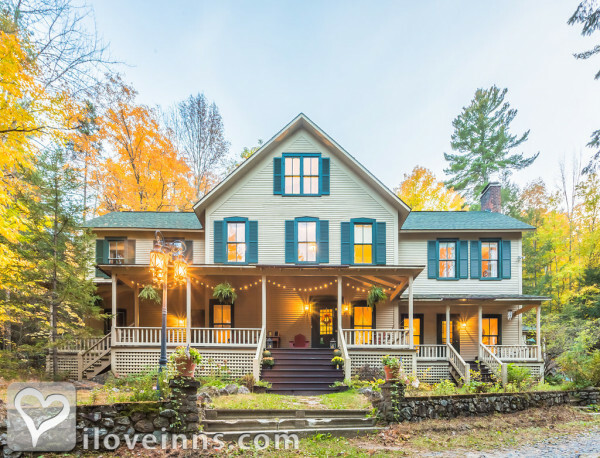 Browse through the iLoveInns.com database of Westport, New York bed and breakfasts and country inns to find detailed listings that include room rates, special deals and area activities. You can click on the 'check rates and availability' button to contact the innkeeper. Westport, New York is located in the heart of the Adirondacks where you can go fishing, canoeing, or kayaking in nearby lakes including Lake Placid and Lake Champlain. For hiking expeditions, the best opportunities are the trails in the High Peaks. You can also try theAdirondack Llama Treks. To tour Lake Champlain, arrange a trip with the Captain and You Cruise, which can be facilitated by Westport bed and breakfast innkeepers. Other attractions in town are Normandie Beach Club, Barber's Point, Depot Theatre, North Pond, and shopping at The Victorian Lady. By The Westport Hotel & Tavern.